Rye Town remain on course for a successful defence of the East Sussex Football League’s flagship knockout competition. Town booked their place in the semi-finals of the Premier Travel Chauffeurs Challenge Cup with a 2-1 quarter-final win away to neighbours Northiam 75 on Saturday. 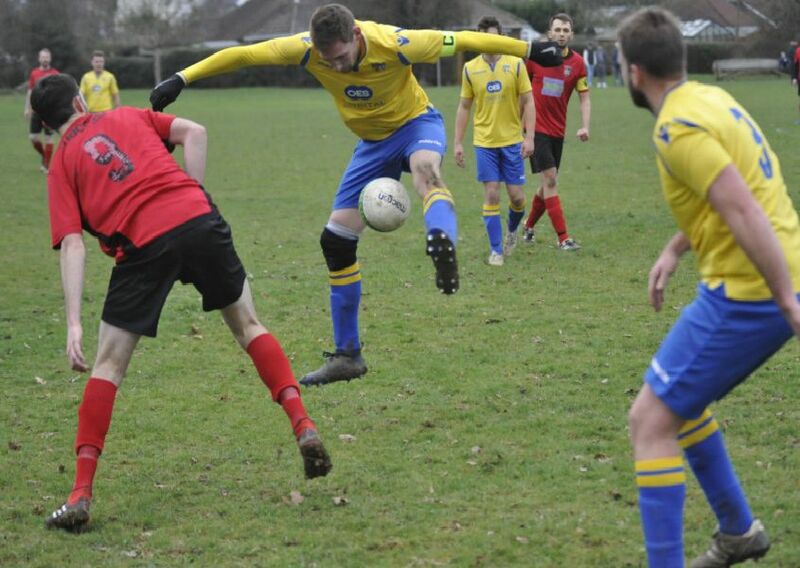 Action from the Premier Travel Chauffeurs Challenge Cup quarter-final between Northiam 75 and Rye Town.